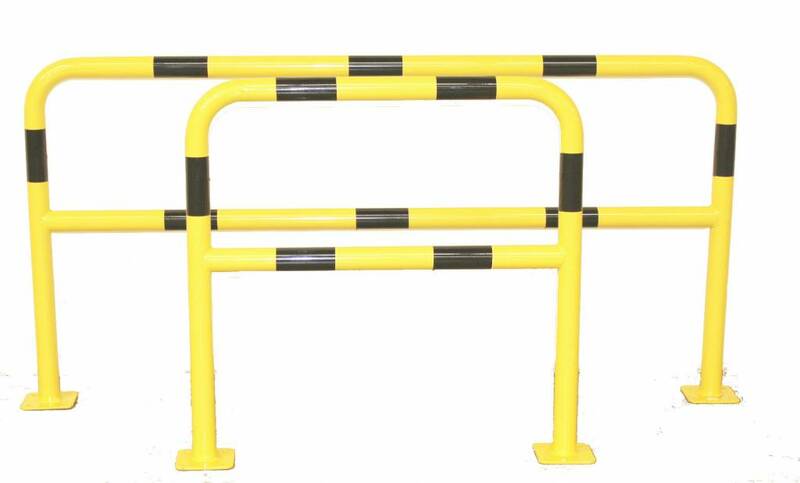 Steel barrier with crossbar to protect sensitive areas or fragile installations . 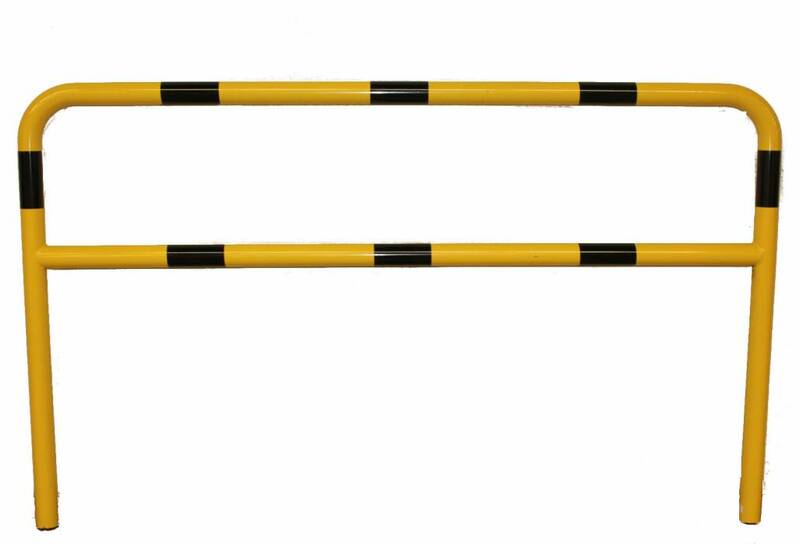 Available in two sizes, to bolt down or to install in concrete. 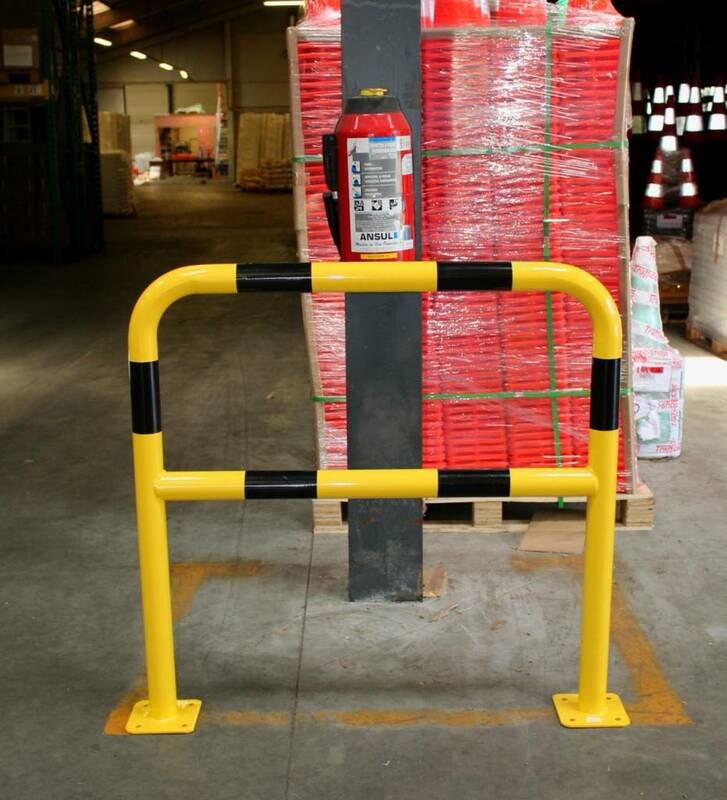 Collition damage protection forms an important part of safety at the workplace and help to reduce the risk of physical or material damage. 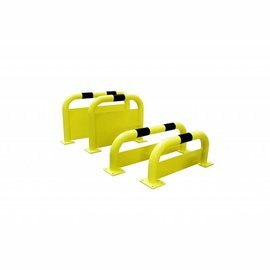 Traffic-Shop offer you a complete range of protection barriers in different sizes. 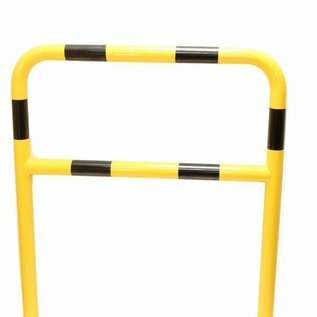 Our steel protection barriers with crossbar are made of quality steel and are extremely suitable for protecting machines, storage racks, control cabinets and other vulnerable installations. 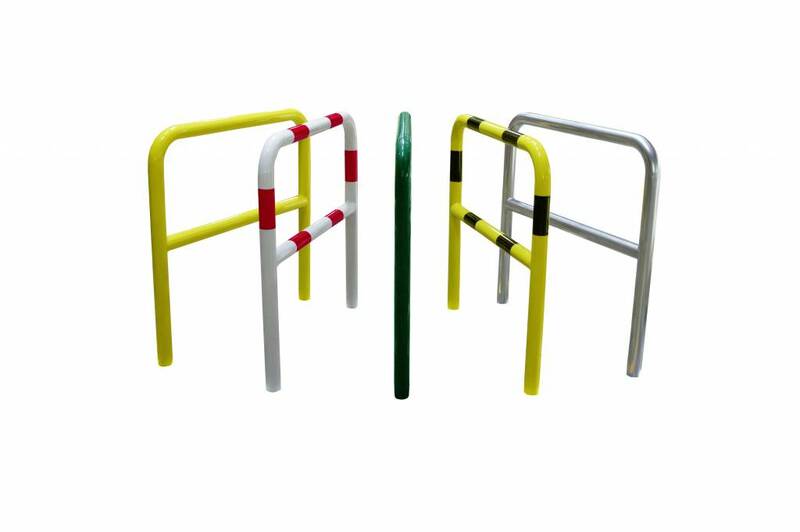 They are also often used to delineate designated walkways in factories and protect employees and visitors against workfloor traffic and/or dangerous machines. 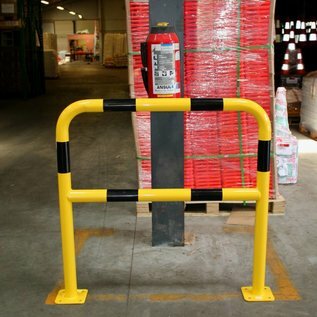 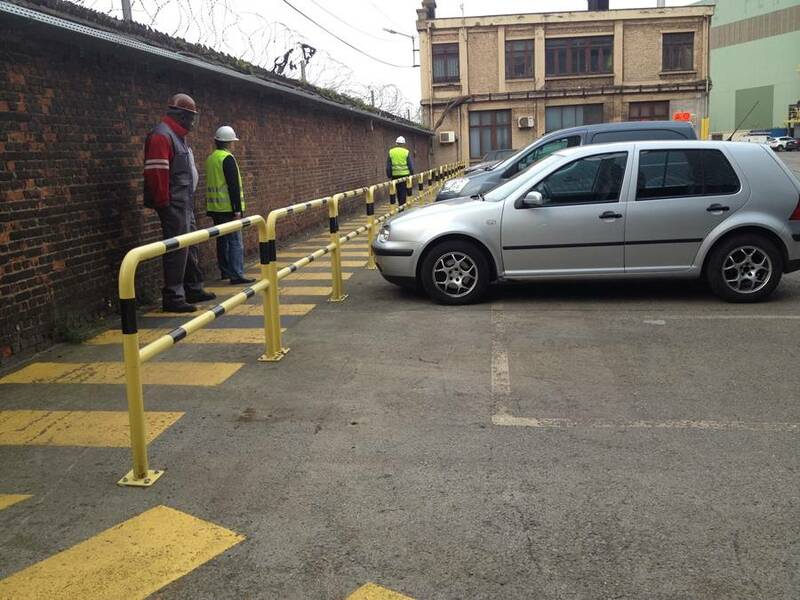 In industrial areas or at large car parks, these protection barriers are also installed to clearly mark out designated footpaths and thus greatly reduce the risk of accidents. 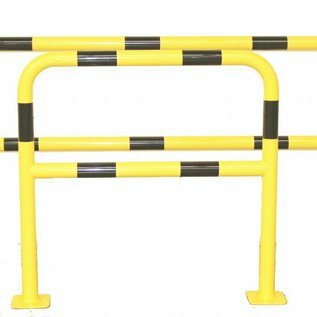 All our collision damage protection products are hot-dip galvanised after bending and welding and then powder coated in RAL 1003 (signal yellow). 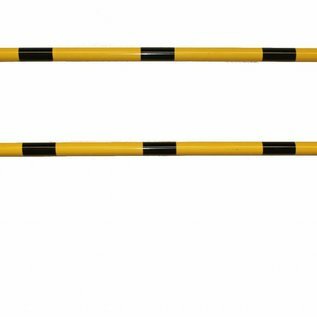 Afterwards they are equipped with contrasting black bands so that they attract attention. 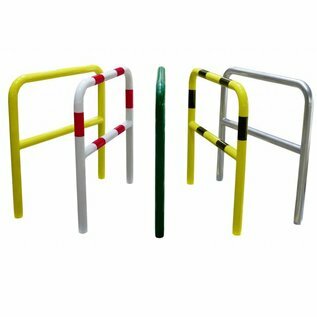 We can also offer you these protection barriers in other colours. 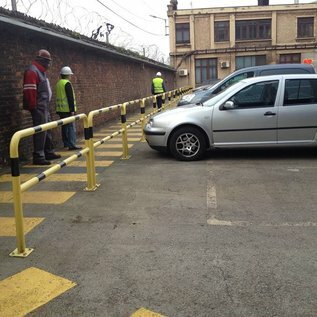 Contact us to discuss the possibilities. 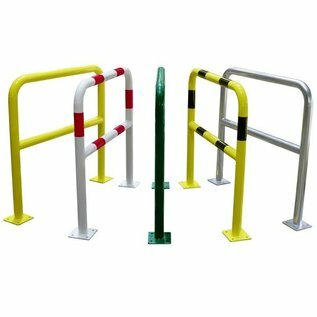 The protection barrier with crossbar is available with sturdy basplates and can then be installed using ground anchors or bolts M12 x 80 or longer (not supplied). 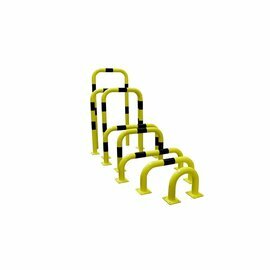 They are also available to install in concrete. 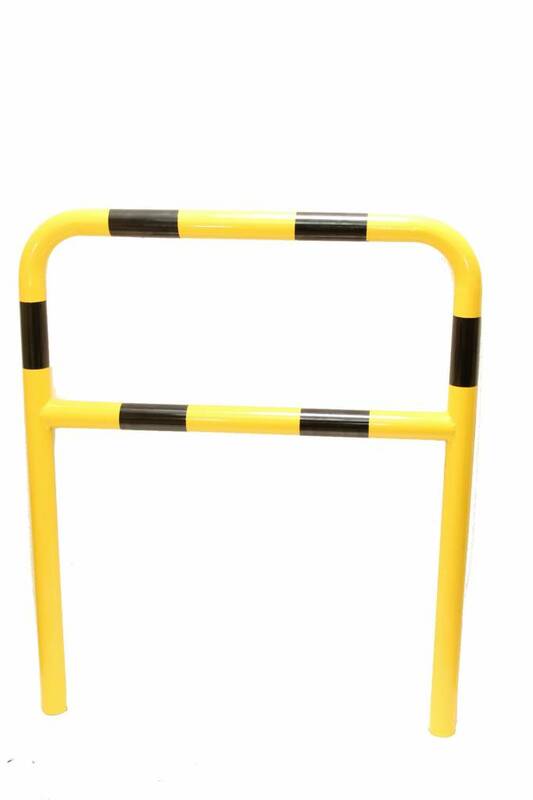 Our protection barrier with crossbar is always in stock and can be delivered quickly. 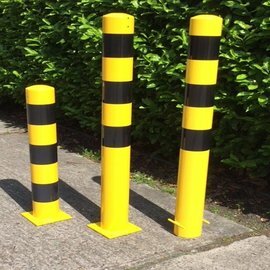 Be sure to check out our complete range of collision damage protection systems. 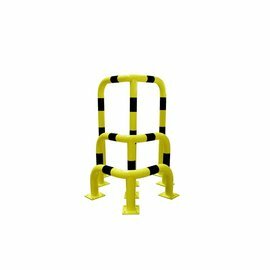 In addition to protection bollards, you will also find corner brackets and other protection barriers.